is back for the 2018-19 Season! Your scores from league play will be used for this tournament! Most Pins Over Average will determine the winners. Three weeks of fun and chances to place! Enter as many times as you wish, $5 per entry. 1 out of every 8 entries will win cash! 100% payout! Men & Women will compete separately! 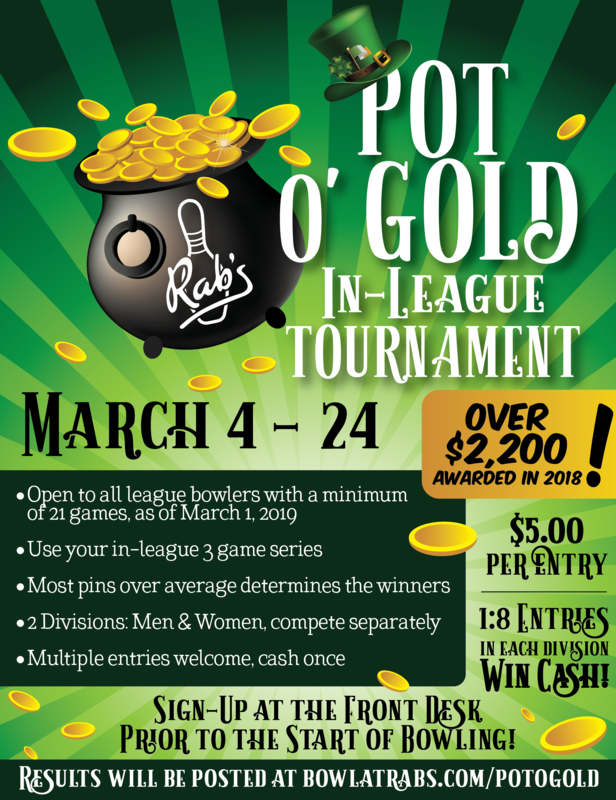 Sign up at the Front Desk prior to the start of bowling! 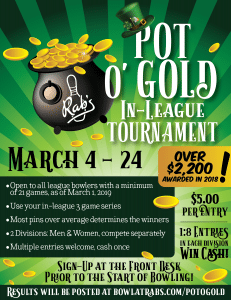 520 entries, $2,600 in prizes paid to 66 bowlers!